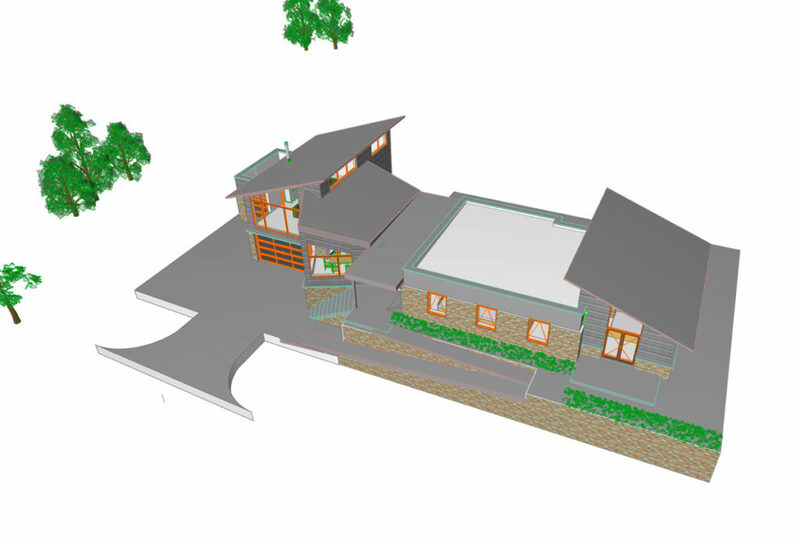 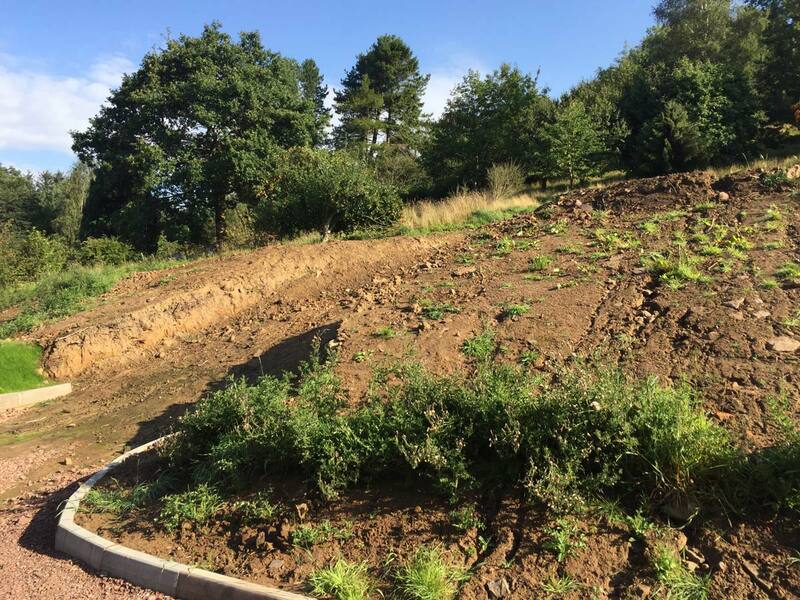 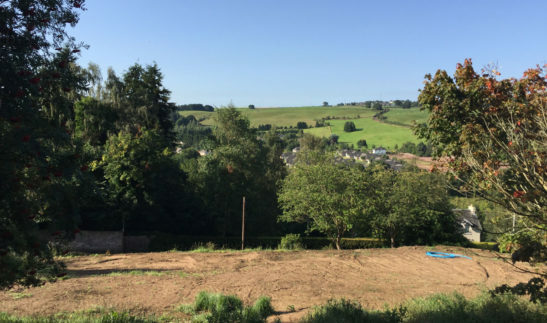 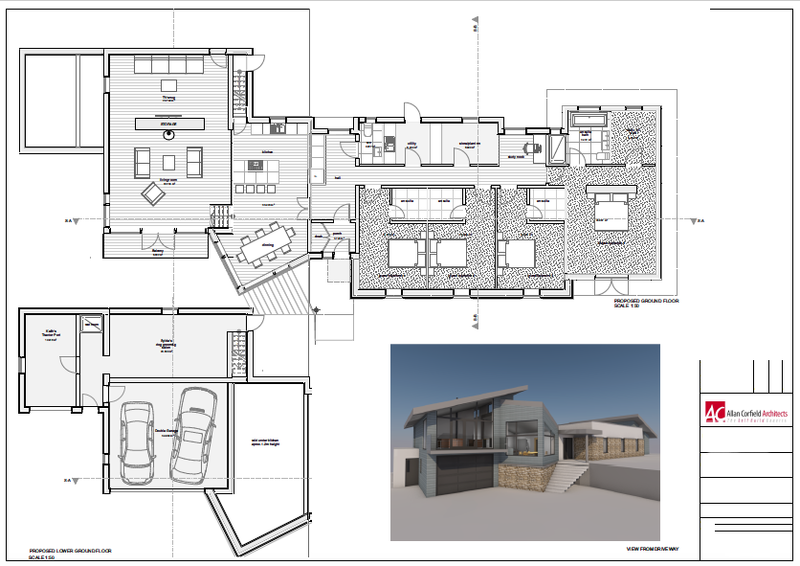 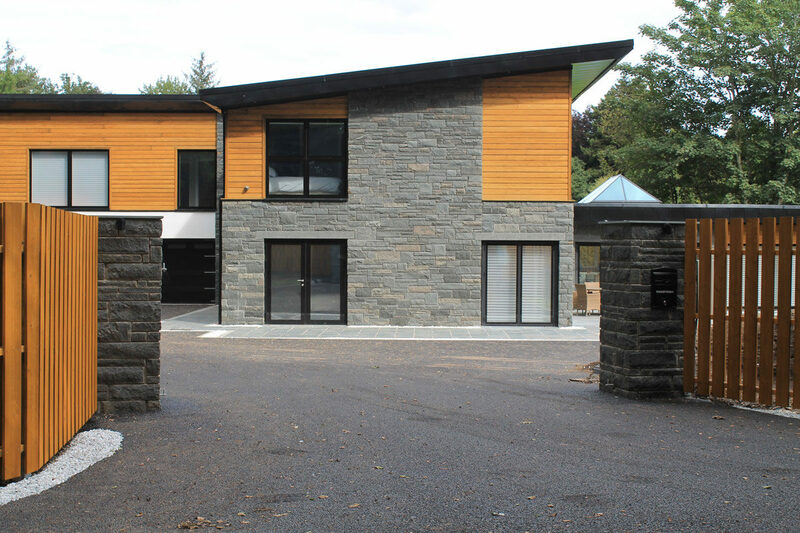 In summer 2016 ACA was appointed to provide a full architectural design service, to create designs for a new low energy split level home in Lanark. 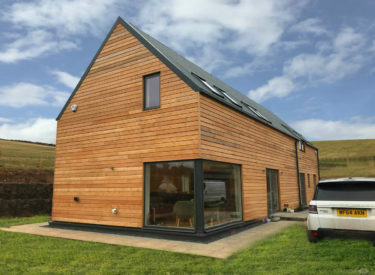 The goal was to design an energy efficient home, for a couple and their dogs – looking to settle within the quiet surroundings of Lanark, South Lanarkshire. 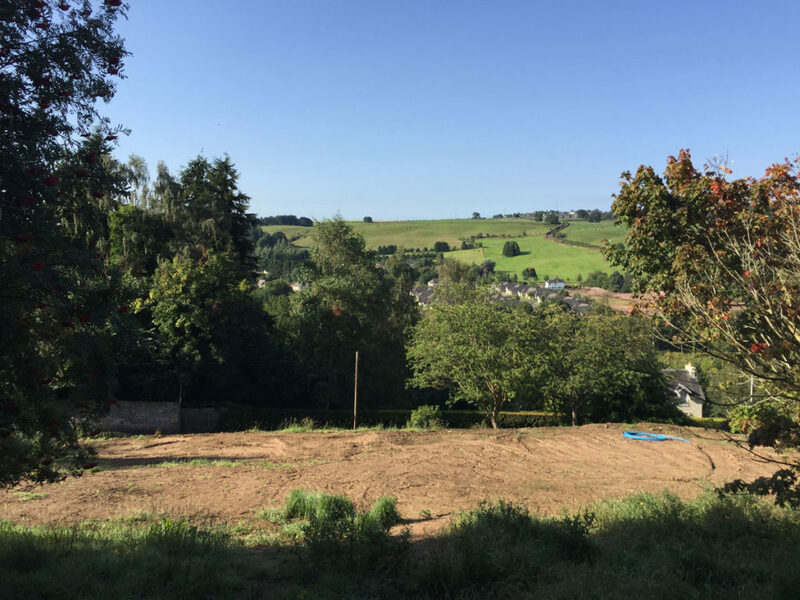 The site is located at the edge of the town, outwith the settlement boundary, requiring a special design and planning justification in order to satisfy the local planning policy. 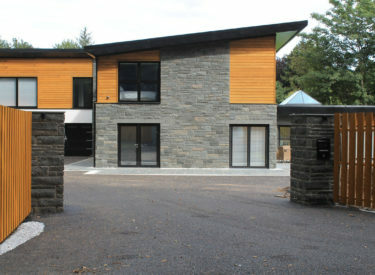 The split level contemporary design uses the topography and maximises the views over the River Clyde next to the New Lanark World Heritage site. 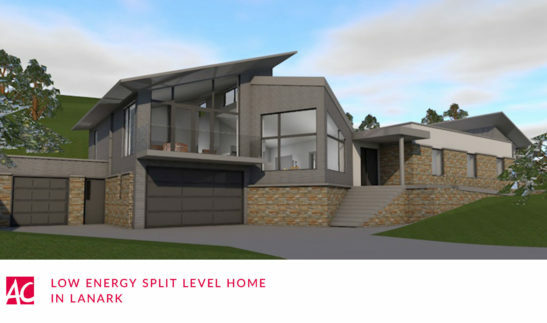 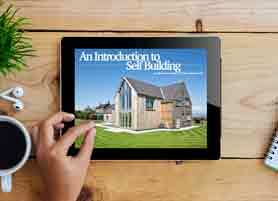 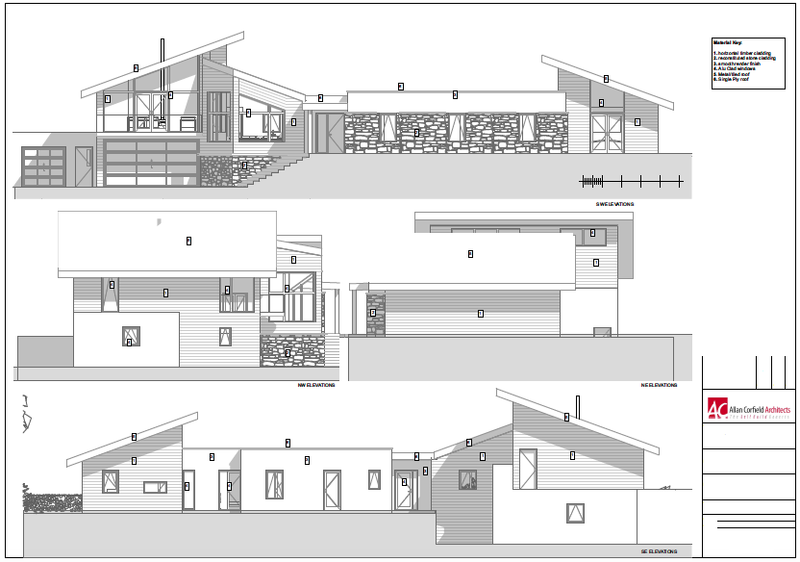 The Self Build house is planned to be erected in SIPS construction to reduce the erection time on site and contribute to the energy efficiency of the build. 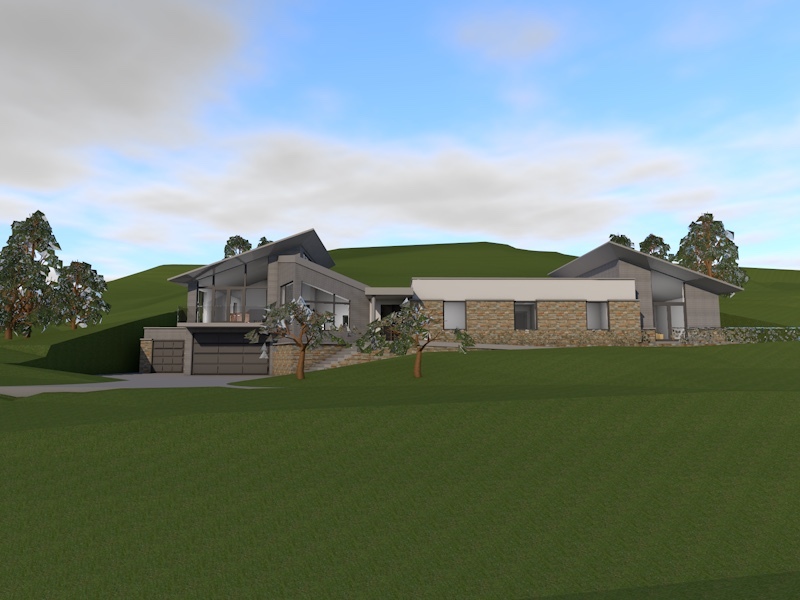 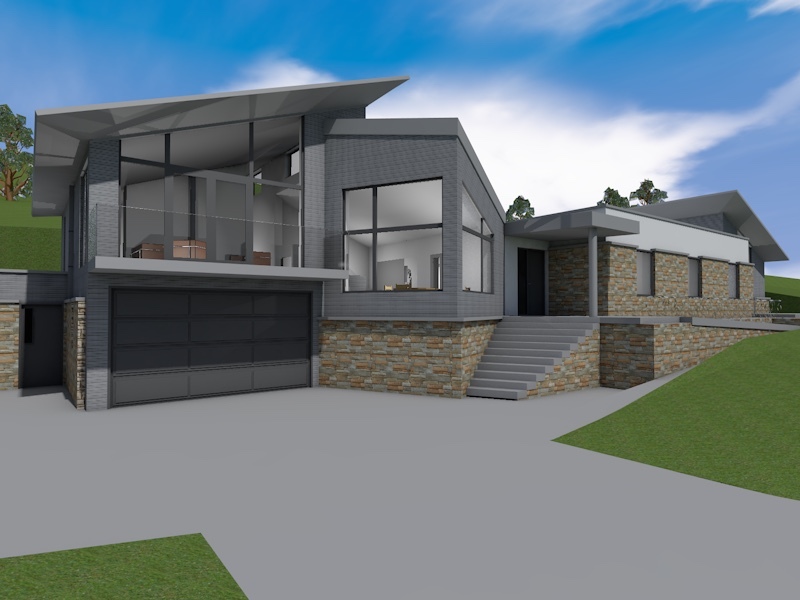 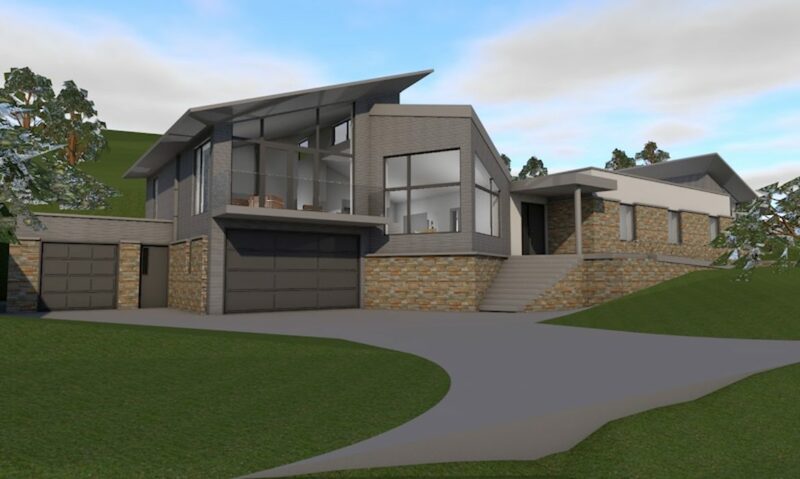 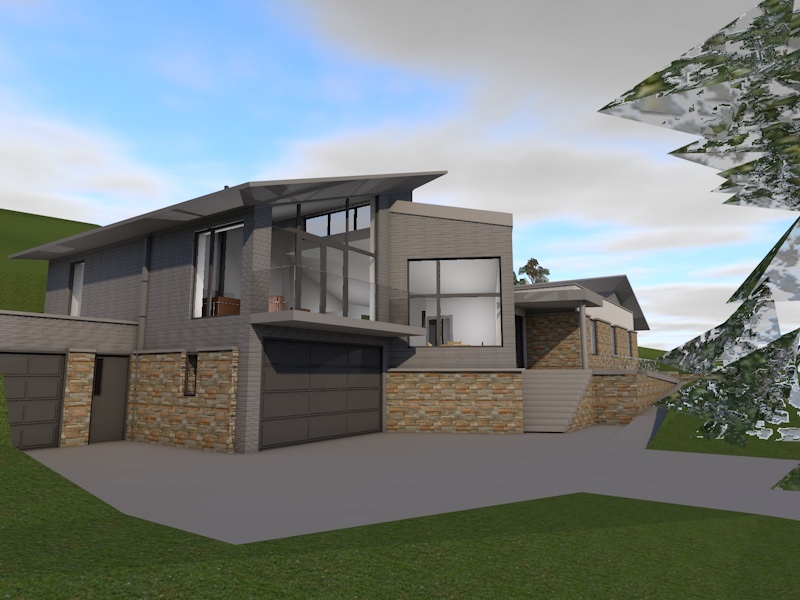 The design features four bedrooms on the main single storey element, with a double garage and store located in a lower storey, taking advantage of the sloping site. 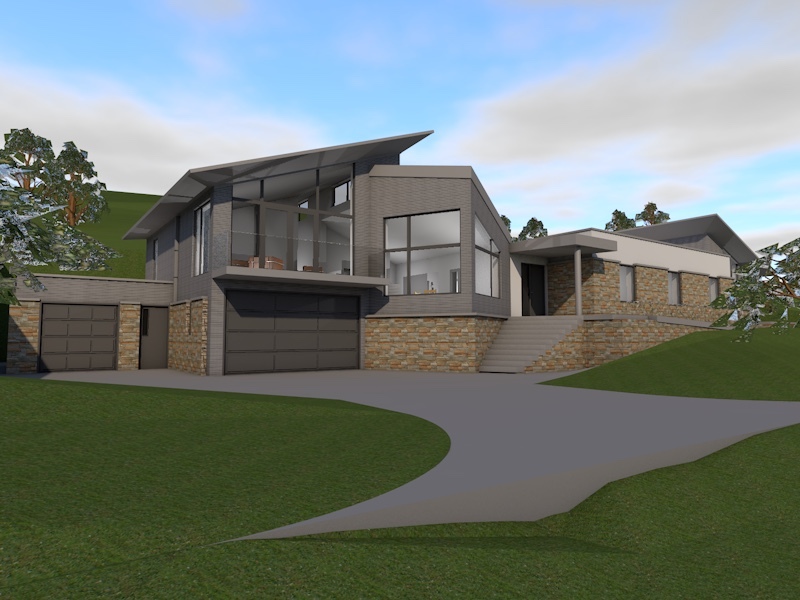 The contemporary design features two mono-pitch roofs positioned at either end of the dwelling. 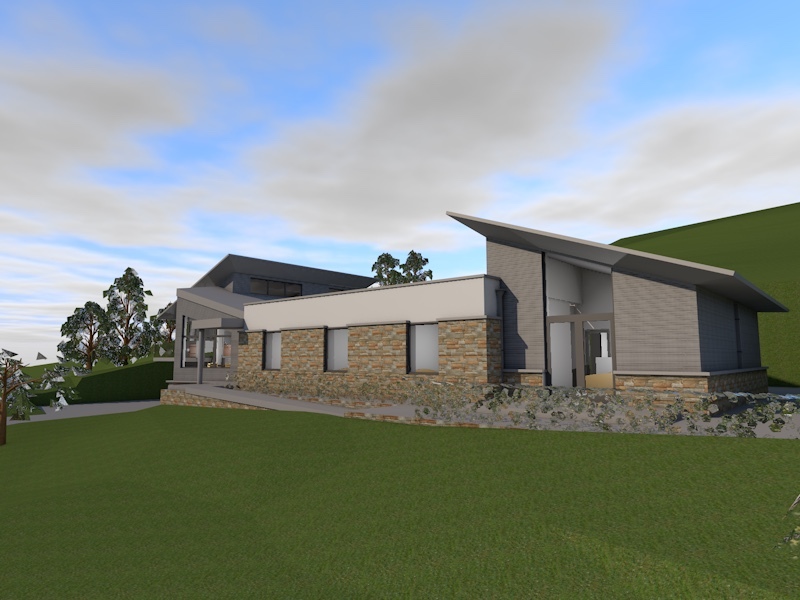 The external walls under the mono-pitch roofs will be clad in weatherboard, with the linking accommodation being faced in reconstituted stone and render. 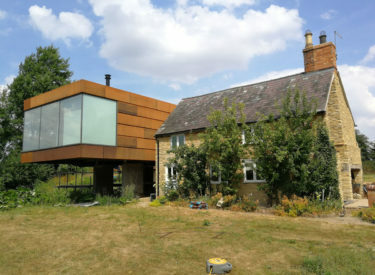 The house received Planning approval in August 2017 and ACA is to provide a detailed design for the project.